Orion’s innovative patented and patent-pending technologies extract hydrocarbons from underutilized gas streams, creating stable liquids that may be blended into the oil stream. 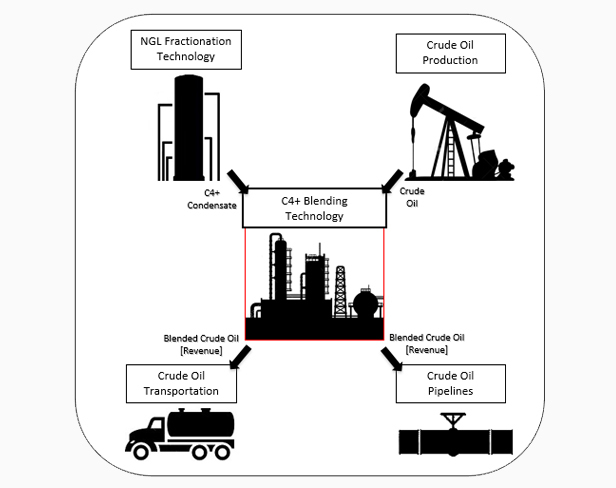 High extraction yields combined with knowledge-based blending creates superior economics for oil producers over competing technologies. Orion is able to blend extracted C4+ liquids into oil streams, increasing production yields and generating substantial additional margin over NGL sales. Orion’s seasoned engineering team conducts numerous tests on the existing crude stream to insure compatibility for safe blending of C4+ liquids within pipeline and/or trucking specifications. Where crude has high RVP, Orion’s patented technology simultaneously stabilizes both oil and C4+ liquids, increasing production while controlling RVP checkpoints. 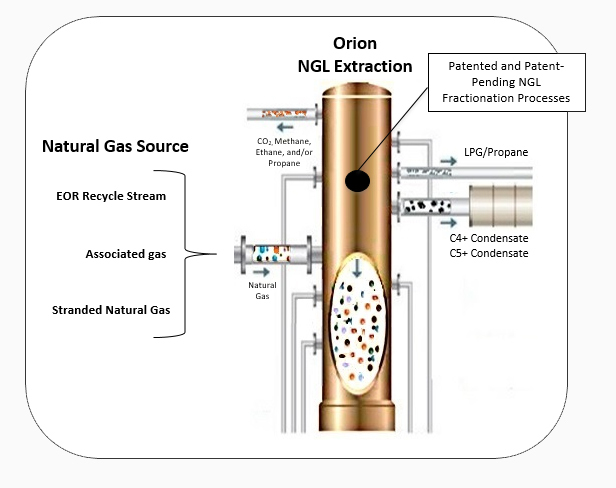 Orion employs a unique fractionation technology which can be applied to multiple gas streams, including +90% CO2, associated gas, or wet stranded gas. Capable of processing gas streams with a wide range of inlet pressures, including atmospheric. Using highly controlled temperature and pressure stages, Orion’s patented technology allows producers to “dial in” cut points while achieving +98% liquids recovery. Reach out to us today and let us know how to best assist you.